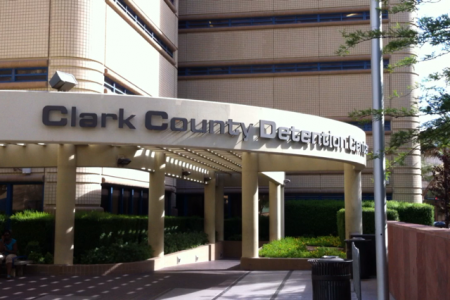 Call 702-608-2245 to find someone in Jail. 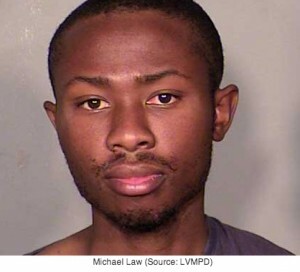 Las Vegas City Jail is located on 3300 Stewart Avenue between Pecos and Mojave Street. The City Jail cannot be missed since it is surrounded by a tall brown wall, barbed wire and looks like what you imagine a Jail should look like. The bail window is right in front facing Stewart Street where parking is readily available along its side. From there you can walk right up to the Bail/Information window which is open 24 hours and only closes for break time. Here you can get information, ask questions and also post Bail Bonds. 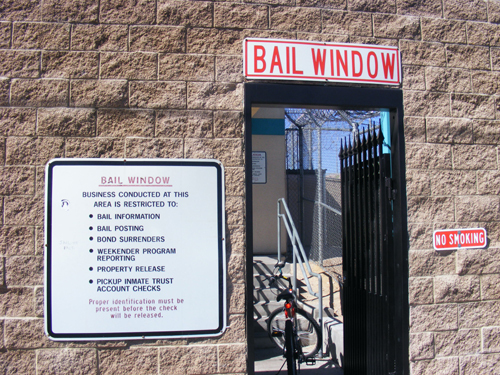 If you have questions or are searching for a friend or loved one who was just arrested in Las Vegas City Jail call us right now at 702-608-2245.
eBAIL is licensed, bonded, insured and authorized by the Municipal Court to post Bail Bonds at the Las Vegas City Jail. Its beautiful office is conveniently located right down the street from City Jail on the northeast corner of Charleston and Mojave, 3100 E. Charleston Suite 108.